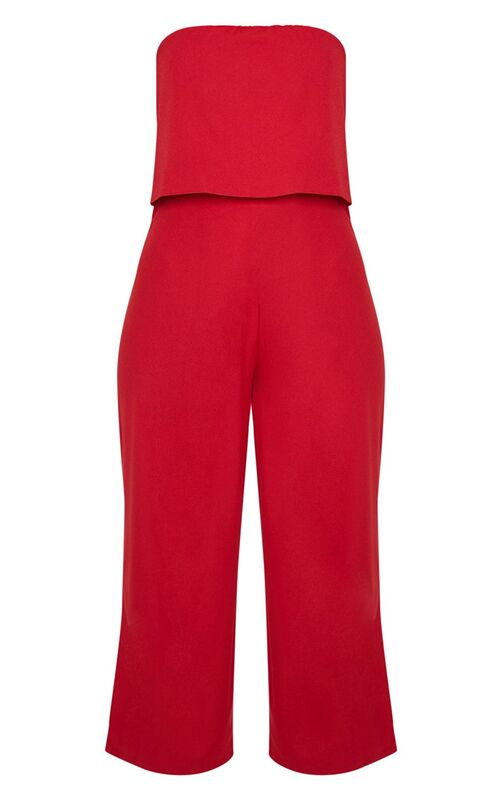 Make a bold statement in this simple but show-stopping jumpsuit. Featuring a red material with a bandeau neckline and a wide-leg fit. Team this sky-high heels and a box clutch for a weekend worthy look.